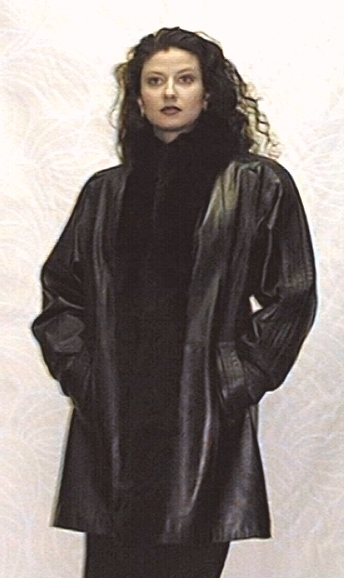 Black Lamb soft Leather 3/4 Jacket with Black Fox Tuxedo. Thermaline lining keeps you warm. Is is also available with removable sheared Rabit lining.